Analysis: The depth running back was plagued by injuries in 2018 and only carried the ball four times for 16 yards in seven games. Fluellen was placed on injured reserve Dec. 20 with a knee injury but likely will be ready for training camp. Expect the Toledo product to have slim fantasy value in the Tennessee backfield, barring injuries, in 2019. Fluellen (knee) was placed on injured reserve Thursday, Turron Davenport of ESPN.com reports. Analysis: Fluellen missed the Titan's last five games and looks like he'll need a few more weeks before he can resume football activities, which is what led to his placement on IR. His move shouldn't impact the Titans' running back rotation much at all, as Fluellen had only seen six offensive snaps in the seven games he was healthy and active for. Fluellen (knee) has been ruled out for Sunday's game against the Giants, Jim Wyatt of the Titans' official site reports. Analysis: Fluellen will miss his fifth straight game and hasn't practiced in the last two weeks. The 26-year-old will look towards Week 16 against the Redskins for a potential return, though there's little indication of where he's at in his recovery. Jeremy McNichols will serve as the Titans' No. 3 running back in his absence. Fluellen (knee) did not practice Wednesday, John Glennon of The Athletic reports. Analysis: Fluellen's knee injury has now reached a month in length. Even if the 26-year-old returns to practice later this week, it's tough to see a scenario in which he'd be of value for Sunday's contest. In regards to this week, things are looking bleak for the Toledo product. Fluellen (knee) is ruled out for Thursday's game against the Jaguars. Analysis: Fluellen did not practice in any capacity this week, and will miss his fourth consecutive game due to a lingering knee injury. Jeremy McNichols will serve as the Titans' top backup behind Derrick Henry and Dion Lewis. Fluellen (knee) did not practice Tuesday, Jim Wyatt of the team's official site reports. Analysis: Fluellen appears to be trending towards missing his fourth straight game as the Titans have a short week leading up to Thursday's matchup against the Jaguars. Even if he were able to suit up, Fluellen would serve only as a depth player, assuming a role behind Derrick Henry and Dion Lewis. Fluellen (knee) did not practice Monday, Paul Kuharsky of 104.5 The Zone Nashville reports. Analysis: Fluellen has missed three straight games due to a lingering knee injury. He'll need to fully return to practice at some point this week for any chance of taking the field against Jacksonville on Thursday. Fluellen (knee) is ruled out for Sunday's game against the Jets, Jim Wyatt of the Titans' official site reports. Analysis: Fluellen did not practice Thursday and Friday after logging a limited session Wednesday. The depth running back will miss his third straight game as he continues to nurse a lingering knee injury. With Fluellen sidelined, Dalyn Dawkins could receive a slight increase in special teams snaps. Fluellen (knee) was ruled out for Monday's game at Houston, Jim Wyatt of the Titans' official site reports. Analysis: Fluellen did not practice this week as he continues to nurse the non-contact knee injury sustained in Week 10. The Titans offense is unlikely to feel his absence with Derrick Henry and Dion Lewis continuing to serve as the top two options out of the backfield. 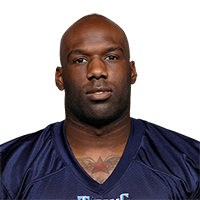 Fluellen (knee) did not practice Thursday, Jim Wyatt of the Titans' official site reports. Analysis: Fluellen continues to manage his recovery from a non-contact knee injury suffered in Week 10. The 26-year-old depth running back and special teams player will likely need to fully participate in practice sometime this week for any chance of suiting up against the Texans on Monday. Fluellen (knee) is officially listed as out for Sunday's game against the Colts, Jim Wyatt of the Titans' official site reports. Analysis: As expected, Fluellen will remain sidelined due to a non-contact injury suffered during a Week 10 win over the Patriots. As long as Fluellen remains sidelined, Dalyn Dawkins will serve as Tennessee's No. 3 running back behind starters Derrick Henry and Dion Lewis. Fluellen (knee) avoided serious injury in Sunday's win over the Patriots but won't play in Week 11, Jim Wyatt of the Titans' official site reports. Analysis: Fluellen went down with a non-contact injury against the Patriots on Sunday, which typically suggests a ligament issue. Fortunately he isn't expected to miss an extended period of time, though he remains without a concrete timetable for return. He hasn't seen much action on offense and his absence shouldn't impact the team greatly. Fluellen was forced out of Sunday's game versus the Patriots due to a knee injury, Jim Wyatt of the Titans' official site reports. Analysis: When Fluellen took the handoff, he instantly dropped to the ground in pain. A non-contact knee injury suggests there's ligament damage, but there likely won't be an official diagnosis until after the game. There are no videos available for David Fluellen. Click here to view all videos.